Windows Client for Amazon S3. User Interface for Amazon S3. S3 Bucket Explorer. File Manager for Amazon S3. S3 Browser is a freeware Windows client for Amazon S3 and Amazon CloudFront. Amazon S3 provides a simple web services interface that can be used to store and retrieve any amount of data, at any time, from anywhere on the web. Amazon CloudFront is a content delivery network (CDN). It can be used to deliver your files using a global network of edge locations. Reliably Upload and Download your files to and from Amazon S3. Publish your Content using Amazon S3. Browse, Create, Delete Amazon S3 Buckets. Share your Buckets with other Amazon S3 users. Use Buckets shared by other Amazon S3 users. 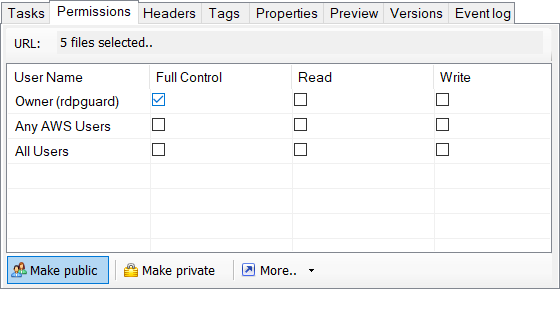 Set Access Control on Buckets and Files. Keep your Files backed up in encrypted form. 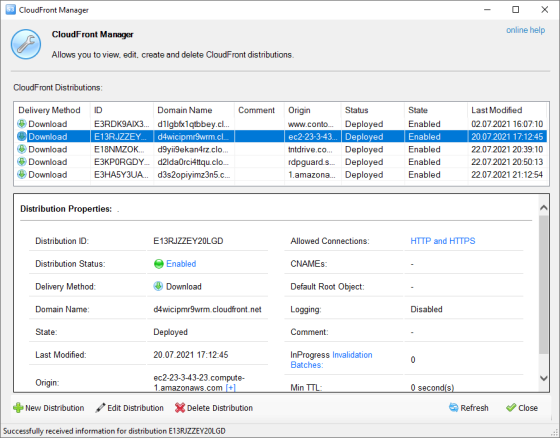 Manage your Amazon CloudFront Distributions. Cutting edge features make it exceptional! Support for Data Integrity Checking to guarantee reliable file transfer. 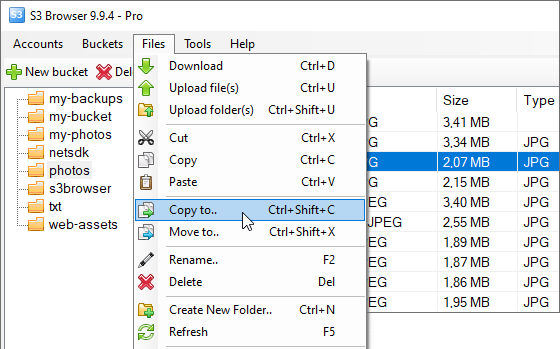 Convenient Folder Sync Tool - Upload Only New and Changed Files! Support for Amazon S3 Versioning and convenient versions manager. Processing very large amounts of files (millions) effectively! Support for very large files. Up to the 5 TB in size! 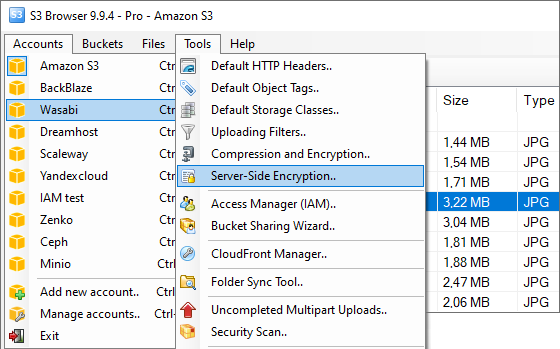 Amazon S3 Server Side Encryption support. High-speed Multipart Uploads and Downloads with ability to Pause and Resume. 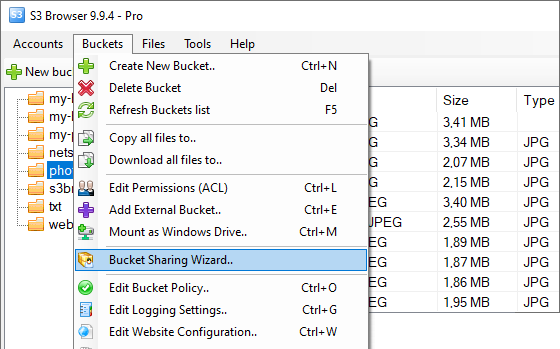 An easy to use Bucket Sharing Wizard - share your Buckets with just two clicks! Support for restore from Amazon Glacier. Support for bulk ACLs assignment (edit ACLs in batch mode). Default Http Headers allow you to apply pre-defined HTTP Headers automaticaly! Support for Static Website Hosting. Support for Amazon S3 Bucket Policies. Support for Cost Allocation Tagging and Cross-Origin Resource Sharing. Command Line Tools - Automate your Amazon S3 Tasks with ease! Bandwidth throttling and proxy support. Support for copy/move between amazon s3 accounts and buckets. 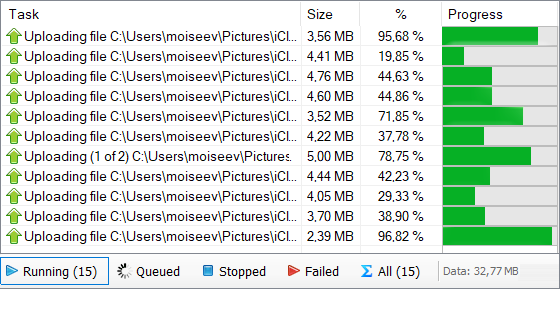 Drag and Drop from Windows Explorer. Fast working multithreaded Http Engine. Support for Amazon S3 Bucket Logging (Server Access Logging). Support for Requester Pays Buckets. And tons of other cool features and tools! allows you to easily mount Amazon S3 Bucket as a Windows Drive. protects your Windows Server from RDP Brute-force Attacks. "Amazon Web Services", "AWS", "Amazon S3", "Amazon Simple Storage Service", "Amazon CloudFront", "CloudFront", the "Powered by Amazon Web Services" logo are trademarks of Amazon.com, Inc. or its affiliates in the US and/or other countries.